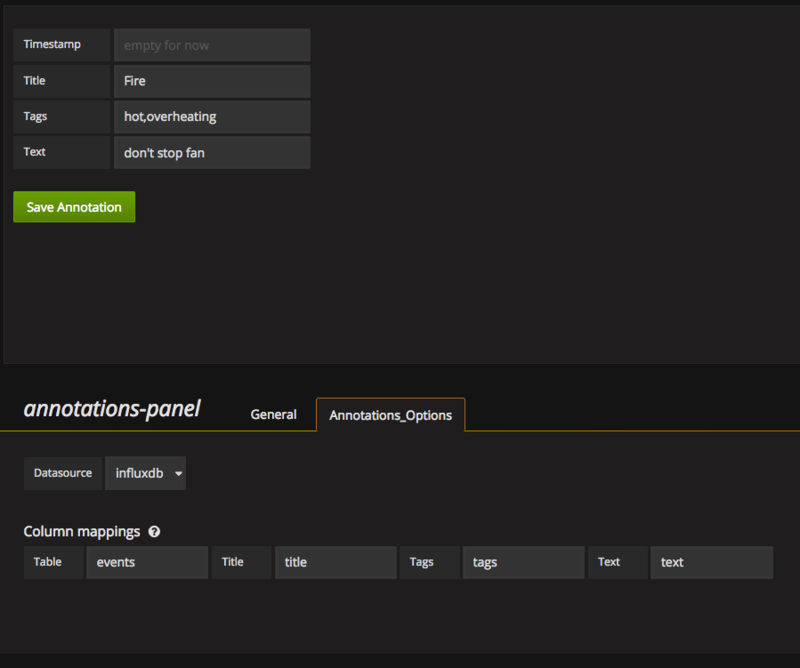 This Grafana panel lets you save annotations in InfluxDB database. It provide a way to mark points on the graph. These points are displayable with InfluxDB Annotations feature. Actually this panel works only with InfluxDB data sources.